48 hour warning! Five reasons to support Star Saga! It’s been an exciting few weeks on the Star Saga Kickstarter and as we approach the end of the campaign, we wanted to give you an update and explain why you should jump on board. This is a genre that we don’t think has been explored to its full potential and Star Saga aims to change all that. You’ll be blasting lasers down corridors, placing sentry guns, hacking computer terminals, facing off against a deranged psychic Chovar, hunting down futuristic equipment, uncovering secret plots, desperately trying to stop security alarms and taking on horrific Plague experiments. Even better, the experience will never be quite the same, as you can play campaigns with different mercenaries, thanks to Star Saga’s points-based selection system, while the evil Nexus Player will have to adapt their plans on the fly thanks to the random action/event cards. This means the replay value is superb. Along with the core game, the Star Saga Kickstarter comes with the brilliant Character Creator expansion. This detailed book explains how to create your own character by choosing their race, attributes, bonuses and even spectacular feats that can dramatically change the outcome of a mission. Thanks to the Character Creator you’re not limited to those mercenaries included with the pledge. In fact, you can use any miniature in your collection and create a mercenary that perfectly captures their appearance… a goblin sniper, a Brokkr engineer or Asterian Overseer. And why stop there… what about a time-travelling physician? A bounty hunter that likes to shoot first (allegedly)? A lord of the stars? The choice is yours… if you’ve got a miniature, you’ve got a merc. Also included in the Kickstarter pledge is the Mission Creator. This is for those people who love to craft their own adventures and write their own action-packed storylines. 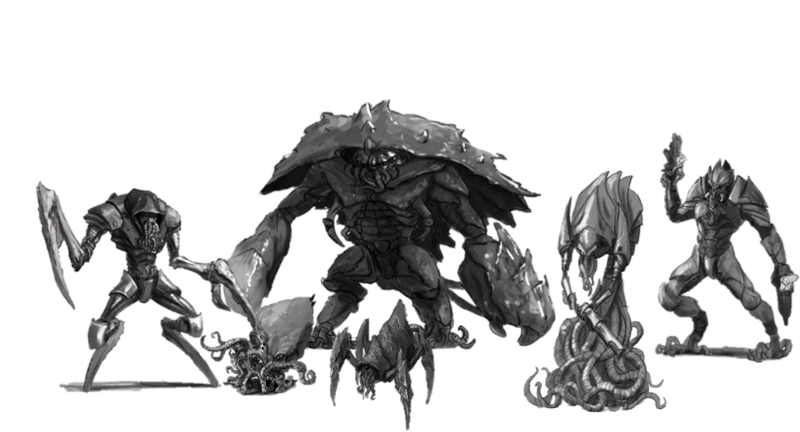 Even better, the Mission Creator includes a Bestiary with a wide selection of races from the Warpath universe, which allows you to use them as enemy units in your own campaigns. So, if you already own a massive collection of Asterians, Marauders or Forge Fathers, for example, this means you’ll be able to get even more fun from your miniatures by using them in Star Saga. 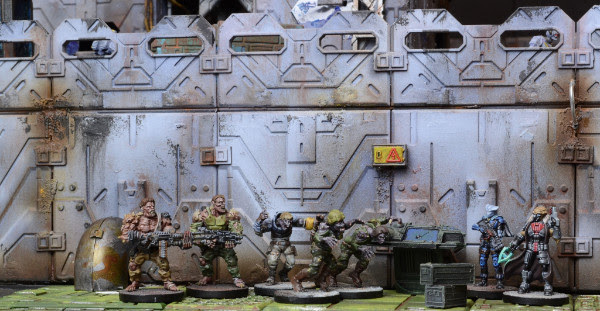 As gamers, we don’t always have time for a full-on game of Warpath, so Star Saga will scratch that sci-fi itch when you want to dig out your favourite minis from Deadzone or Warpath. Need we say more? The Nameless have always been one of our most popular races thanks to their appearance in Dreadball and Project Oberon in Deadzone. So we thought Star Saga was a fantastic opportunity to not only give them a leading role in the Kickstarter exclusive campaign, The Fear in the Darkness, but also flesh out their background too. Who would like to see them as a Deadzone faction too? Well… only time will tell! We’ve already funded Retake the Blackstar Station, which is an expansion starring the Veer-myn aboard a space station but earlier this week we unveiled two new expansions that will be unlocked at $325,000… so we need your support to make sure we reach them. The Devil’s Betrayal features a raid on a Rebs base, as Francesco ‘The Devil’ Selvaggio encounters some characters from his past, who aren’t too pleased to see him. Meanwhile, Terror in the Deep introduces two new mercenaries and a Nameless boss in this action-packed adventure that takes place in a biosphere underwater. Even better, once funded you’ll be able to grab all these bundles – along with the Beyond Eiras Mission Book – for the fantastic price of $75. What are you waiting for? Check out the Star Saga Kickstarter now! The Walking Dead are here…! Xmas Fill my Bag Give Away!